So you’ve decided to start running. That’s great news! Regular running can provide a host of benefits that significantly improve your life, including better heart health, sounder sleep, happier moods, weight loss, stronger and more injury-resistant muscles and joints, and more. However, it’s important that you have a good plan in place before you start any new activity program, including running. 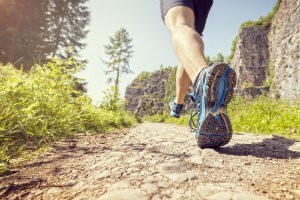 Failing to condition your body properly, or using improper equipment or technique, can lead to pain and injury, quickly eroding your desire and motivation to continue. Here are a few tips to help you get started on the right foot. Start slow and don’t worry about distance or speed—at least not at first. Our bodies need time to adjust to new activities. Doing too much, too soon is how most injuries happen. Start by running no more than 20-30 minutes at a time, twice or three times per week, and don’t be afraid to alternate between jogging and walking as needed. Gradually, as your fitness improves, you’ll be able to jog the whole time, then slowly increase duration or distance. But don’t be discouraged if this doesn’t happen right away! Be patient and listen to your body, and you’ll get there. One of the nice things about running is that you don’t need a lot of gear—but that doesn’t mean you can head out the door in any old pair of athletic shoes and expect everything to work out. If you’re serious about running regularly, you should invest in a decent pair of running shoes—it’ll help you run longer without pain and minimize your injury risk. At a specialty running store, staff can help you pick out a pair that fits your foot shape and gait pattern. Running can burn a lot of calories and expend a lot of water. If you’re just running recreationally a few times per week you shouldn’t have to overhaul your diet, but do make sure you’re eating enough high-energy food, complex carbs, and protein, as well as drinking plenty of water. Running puts a lot of force and pressure on your feet, and that can lead to pain and injury. One way you can mitigate the risk is by cross-training. Instead of running—and only running—in your exercise program, switch out a few days for low-impact work like strength training or going for a bike ride. That way, you keep up your fitness and work other muscle groups while giving your feet a well-deserved break. Address any foot or ankle issues. At Dallas Podiatry Works, our team specializes in keeping runners of all ages and ability levels on their feet and working toward their goals! We provide a wide range of sports injury care and services, and can help you address lingering foot issues that might get in the way of your run, using tools such as custom orthotics. If you’ve struggled with foot pain in the past, give us a call at 972.566.7474 and let us help you make sure you have all the support you need for a successful running program!